For Eldon, Shelf Savers became more than just a new product line. Shelf Savers™ became a template for new product development, with a much greater emphasis on identification of target consumers and consumer needs. The success of this line served as a model and plan for a new development structure and the creation of the Consumer Segment Manager positions. Not only did Shelf Savers revamp the front-end of product development, but a new focus was placed on the back-end regarding product launch strategies, targeting specific end-user groups, and development of captivating display vehicles. 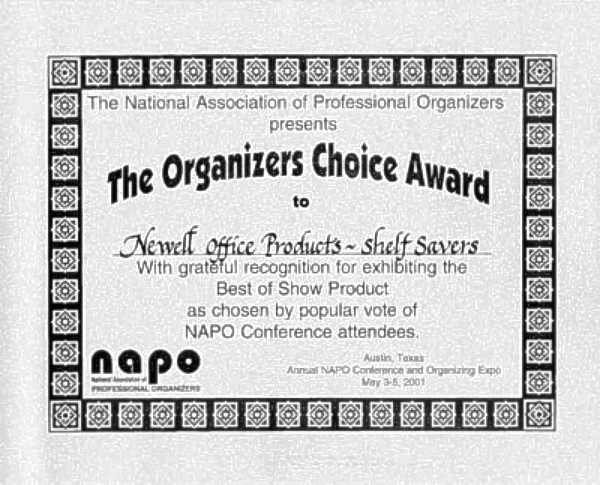 Shelf Savers received “The Organizer’s Choice Award” from NAPO, the National Association of Professional Organizers, at their annual exposition and trade show, in both 2001 and 2002. 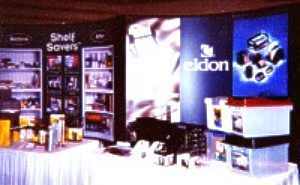 I led Eldon’s first attendance at NAPO‘s Annual Conference and Exposition in 2001. While a full array of products were shown, the focus was placed on Shelf Savers. In addition to showing product, the Shelf Savers Starter Kit was entered into the voting for best new product in 2001, and the five new products were entered in 2002. Voting for the award was open to NAPO members in attendance. Receiving this award in 2001 was exciting as it was Eldon’s first appearance and involvement with NAPO’s show. Kicking off the launch of the new product extensions with a repeat award in 2002 provided an extra boost. 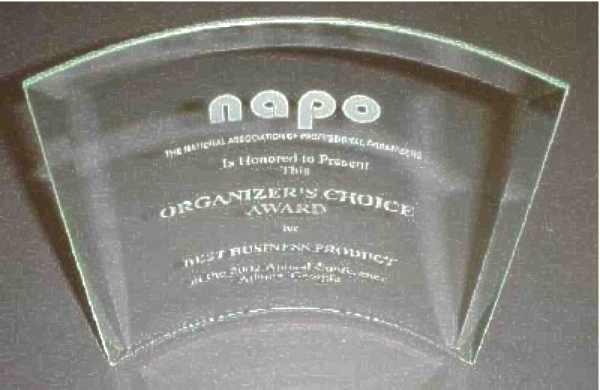 Most rewarding though was that these awards were chosen by the NAPO members who were present at the show… members whose careers are built around helping their clients become better organized. Shelf Savers™ began with the launch of 8 products. With a combination of domestic injection molded products and imported wire products, an entirely new product category was introduced to the office products industry. Five new product additions later not only broadened the line, but also introduced the first product in the line that was designed to hold specific office supplies. Learn more about the Shelf Savers products. Beyond the typical sell sheets, presentation literature was developed to introduce the products and the concept to industry buyers. See the innovative Shelf Savers literature. Shelf Savers™ packaging had a huge responsibility to not only help establish brand equity for the product and Eldon, but also to explain and educate the consumer on a solution to a problem they had become used to living with for years Learn more about the Shelf Savers product packaging. The development of an introductory Starter Kit and promotional pallet configurations to help launch this new product category to the industry and consumers. Learn about the Shelf Savers Starter Kit & Pallet.